We’d love your help. 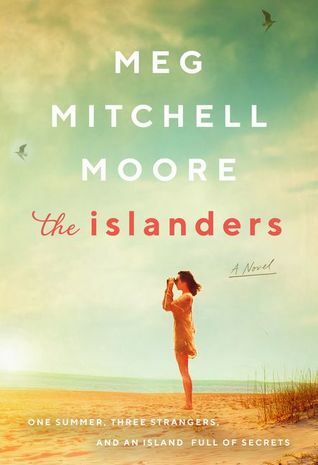 Let us know what’s wrong with this preview of The Islanders by Meg Mitchell Moore. Anthony Puckett was a rising literary star. The son of an uber-famous thriller writer, Anthony’s debut novel spent two years on the bestseller list and won J. Courtney Sullivan’s Maine meets the works of Elin Hilderbrand in this delicious summer read involving three strangers, one island, and a season packed with unexpected romance, well-meaning lies, and damaging secrets. To ask other readers questions about The Islanders, please sign up. 1. Anthony, a summer renter, whose first novel was a blockbuster but he has been disgraced by plagiarizing in his second novel. His father is a famous author and is angry with his son for what he did. 2. Lu, a summer renter, is an unhappy stay-at-home mom who feels a loss of her identity and has started a secret blog. 3. Joy, a year-round resident who owns a bakery, has financial problems, and is raising a daughter who is now a teenager. These characters interact and each chapter has one of their points-of-view. There are secrets aplenty and some twists that help to keep the story interesting. I liked that the author gave closure to all of the main characters and didn't leave readers wondering. I thought the story was well-plotted with good pacing. Most of the characters were likable. This is my first novel by Ms. Moore and since I enjoyed it, I may try to read some of her other novels. This is the ideal summer read. An engaging story with fully-fleshed characters on an island setting. Meg Mitchell Moore does Elin Hilderbrand better than Elin Hilderbrand! Unlike the tony island paradise of Hildebrand fare, the location here is the less upper crust, Block Island. Its full time residents are more working class, thus making the characters more accessible. (Note: I do not mean this to come across as a criticism of Elin Hildebrand because I throughly enjoy her novels. My point is, while Hildebrand offers fun, pleasure reads, The Islanders was overall, a more satisfying and relatable story, in my opinion.) I was heavily invested in the lives of all three of the central characters from the outset, cheering them on as the story progressed. Furthermore, what's not to like about a book that speaks favorable of one of cinema's best rom-coms of all time, When Harry Met Sally? Pack this one in your beach bag! I was intrigued by The Islanders, but having not enjoyed one of her previous books, I felt a touch sceptical. I didn't find this novel at all interesting, and the characters were too normalised to stand out. I will not be reading more of Mitchell Moore's work in future. This story takes place one summer on the middle class vacation spot of Block Island. It is about the lives of three strangers living on the island that summer and how their lives intersect. The chapters are told from each of their points of view. The first character is Anthony, the son of a world famous novelist. Anthony has come to the island to recover after his involvement in big publishing scandal was revealed. He is house sitting for the relative of a friend. Lu is the mother of 2 boys and This story takes place one summer on the middle class vacation spot of Block Island. It is about the lives of three strangers living on the island that summer and how their lives intersect. The chapters are told from each of their points of view. The first character is Anthony, the son of a world famous novelist. Anthony has come to the island to recover after his involvement in big publishing scandal was revealed. He is house sitting for the relative of a friend. Lu is the mother of 2 boys and the wife of a doctor. She is staying with her sons in a summer rental provided for by her wealthy in-laws. She gave up a promising career as an attorney to be a stay at home mom while her husband spends most of the summer working in a hospital. She also has a successful foodie blog where she writes as a stay at home dad who loves to cook. Lu must keep the blog secret from her husband who wants her to devote her time exclusively to raising their sons. Joy is a single Mom who lives on the island year round with her 13 year old daughter. Joy has a struggling shop where she bakes and sells moon pies. Eventually Lu meets Anthony, her next door neighbor and Joy and Anthony become romantically involved. Maggie also accepts a job as a mother’s helper for Lu’s boys allowing Lu time to work on her popular blog. This is a good beach read. In addition it is a story with well developed characters. the author explores a topic facing many highly educated mothers. These woman find themselves bored caring for small children exclusively after a have had a fulfilling career before the children were born. They are torn between the desire to provide a loving environment for their family and a desire to return to the profession where they excelled. Several years ago I spent a week on Block Island and found it as charming and low key as the author depicts it. Anthony, Joy and Lu all find themselves on Block Island for different reasons, Joy as the only full-time resident of the perspectives offered, each within different key intersections of their lives. Dubbed for fans of Elin Hilderbrand or J. Courtney Sullivan, The Islanders offers a slower paced summer getaway. The back-cover description seems to offer the promise of a juicy death and unraveling secrets, but in reality the outcome is far less juicy and far more abrupt. There were certainly tones Anthony, Joy and Lu all find themselves on Block Island for different reasons, Joy as the only full-time resident of the perspectives offered, each within different key intersections of their lives. Dubbed for fans of Elin Hilderbrand or J. Courtney Sullivan, The Islanders offers a slower paced summer getaway. The back-cover description seems to offer the promise of a juicy death and unraveling secrets, but in reality the outcome is far less juicy and far more abrupt. There were certainly tones of Elin Hilderbrand's writing style, but with far less enjoyable characters and a far duller island scene, but the good vibes and relatability are still there. *Disclaimer: A review copy was provided by the publisher; all opinions are my own. I was gifted this book from the publisher #HarperCollins. What a treat it was. If a beach read is your genre you will love this. I was unfamiliar with the author but I am going back to read all she has written. The book centers around 3 characters. A disgraced author, a dissatisfied sahm and a single mother and business owner. It is set on Block Island, which appears to be a step sister to Martha’s Vineyard. It has romance, conflict, family drama, jealousy, all the good stuff. So happy I found th I was gifted this book from the publisher #HarperCollins. What a treat it was. If a beach read is your genre you will love this. I was unfamiliar with the author but I am going back to read all she has written. I received this book as a Goodreads giveaway. I enjoyed the story and the way the characters interacted. Their different viewpoints made for great pacing. The Block Island location was fun. I have never been there so I liked finding out about it. I got nervous when the hurricane was introduced. I've read several books where this becomes the highlight of the story. It was not overused here, so that was a relief. This book got me out of a reading slump. I ate it up and loved it. 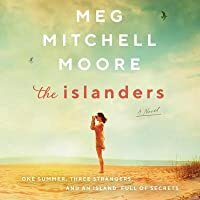 A perfect summer read with interesting characters living on a small east coast island, including an unsatisfied stay at home mom (with a secret blogging job) staying in a summer rental, a single mom who owns a bakery and lives on the island, and a disgraced male author whose father is a bestselling author (think James Patterson). Highly recommended beach (and winter) read. Loved reading this book. Had interesting characters - several authors, Joy is a single mother raising her teenage daughter while running a small bakery coffee shop, summer visitors whose lives change as the weeks progress, romance, and surprises along the way. A positively wonderful read for any time of the year - but a great beach read also! Another great read from Goodreads!!! An enjoyable novel filled with love, secrets, and the sights and sounds of an island resort in summer. This one will definitely have a place in my Beach Reads section! My thanks to the author, HarperCollins, Tavia Kowalchuk, Molly Waxman, and Kstherine Nintzel for the ARC. The book will be available on June 11, 2019. Exceptional story. So very entertaining from start to finish. Each of the characters so well crafted and they go from being strangers to being close. Block Island is a great location for the story and sounds like a wonderful place. The story just draws you into it and you feel a part of it. This is a great story that I really enjoyed reading. I won this book in a GoodReads Giveaway. 3 characters' lives intertwine in one summer on Block Island. I found none of the characters sympathetic: 1 is hiding a secret from her husband about a second income; 1 is a sad sack of a person who comes to hide out from a writing transgression; the third is a whiny, clingy mother of a teenager. Just couldn't keep my interest. I really enjoyed the characters and their interaction with each other. The plot was believable. It moved along. I think it would be a great vacation book! Thank you to William Morrow a d Meg Mitchell Moore. Loved it. The interweaving of lives that are in flux on Block Island give this beachy read a fast clip that is interesting but not engrossing. I liked the characters but some of the ideas were too predictable for me. I picked it up because I thought it sounded interesting...I was wrong. Forced myself to finish it anyway. I loved this one. Told from the viewpoint of several different (yet intertwined) residents of Block Island. A bit of a 'beach read', but a terrifically enjoyable one. Thanks Goodreads giveaway for this copy of The Islanders. If you enjoy Elin Hilderbrand, this will be in your wheelhouse. A perfect vacation read. Fans of Elin Hilderbrand will likely enjoy, as THE ISLANDERS takes us to a new island, Block Island, and provides a similar (if less successful) character-driven look at the lives of locals. What a lovely surprise! This is a fun read, yes it’s a great beach book, but I enjoyed it under my covers while it was hailing outside. The way Ellin Hildebrand makes Nantucket a character in her novels, Moore does the same for Block Island. Her characters are likable and well-developed.. yes, there is a level of predictability, but the book is so well written that I delighted in learning about the various denizens of the island. The famous author, his disgraced son and the family secret which i What a lovely surprise! This is a fun read, yes it’s a great beach book, but I enjoyed it under my covers while it was hailing outside. The way Ellin Hildebrand makes Nantucket a character in her novels, Moore does the same for Block Island. Her characters are likable and well-developed.. yes, there is a level of predictability, but the book is so well written that I delighted in learning about the various denizens of the island. The famous author, his disgraced son and the family secret which inspires a very satisfying ending. The story centers around 2 women, Joy a single mother who needs to be self sufficient and Lu struggling to reconcile the demands of family with the need to reclaim her identity. I need closure in the books I enjoy and the author managed to satisfy my quirks! This book has plenty for women to discuss, career vs marriage, raising a teenager, handling relationships and blended families. Even vaping is discussed, certainly very timely. Meg Mitchell Moore worked for several years as a journalist. Her work has been published in Yankee, Continental, Women’s Health, Advertising Age and many other business and consumer magazines. She received a B.A. from Providence College and a master’s degree in English Literature from New York University. The Arrivals is her first novel. Her second novel will be published by Reagan Arthur Books in Meg Mitchell Moore worked for several years as a journalist. Her work has been published in Yankee, Continental, Women’s Health, Advertising Age and many other business and consumer magazines. She received a B.A. from Providence College and a master’s degree in English Literature from New York University. The Arrivals is her first novel. Her second novel will be published by Reagan Arthur Books in 2012. Meg lives in Newburyport, Massachusetts, with her husband, their three children and a beloved border collie.